I feel like a grandma saying this but- can you believe this girl just turned 16? She's a already got her style aesthetic together and makes me wish that opportunities like blogging were available to me at that age (I was all over embarrassing Live Journal entries then). Tolmeia writes thoughtfully but not LJ- angsty. Okay, there are the occasional playlists snuck in there but I'll forgive you Tolly, because I never thought I'd be taking style tips from a teenager. With aspirations of being a designer, I think this girl might be one to watch. Catch Tolmeia over on Twitter and Instagram. Bright colours - check, awesome hair - check, amazing photos - check. 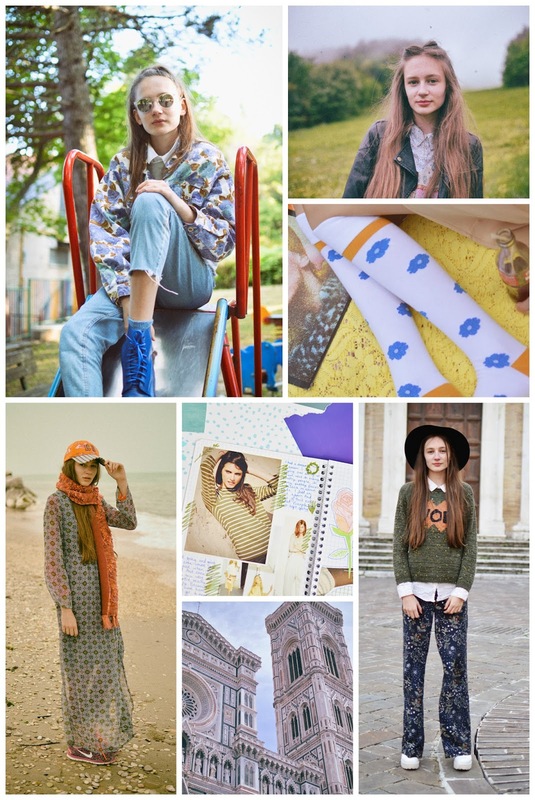 It was pretty much inevitable that I would fall for Mathilde's blog, My Rainbow Feeling. The blog itself may be pretty new but it basically ticks all of my boxes. I love reading about her life in Copenhagen and seeing some of the amazing vintage pieces she has in her wardrobe. Talk about style envy! She inspires me to be more colourful day to day and her photos always make me smile. Check out her bright Instagram for load more outfits. It's how I found the blog in the first place. Thanks Instagram! Glasgow Fashion Girl explains her strong style aesthetic so well in Why Does She Even Have A Fashion Blog? We totally relate. Is there anything more perfect than this iridescent eyeliner on Fashionicide? Jewellery designer Genna's talking about how tricky it can be to get the right work/ life balance. 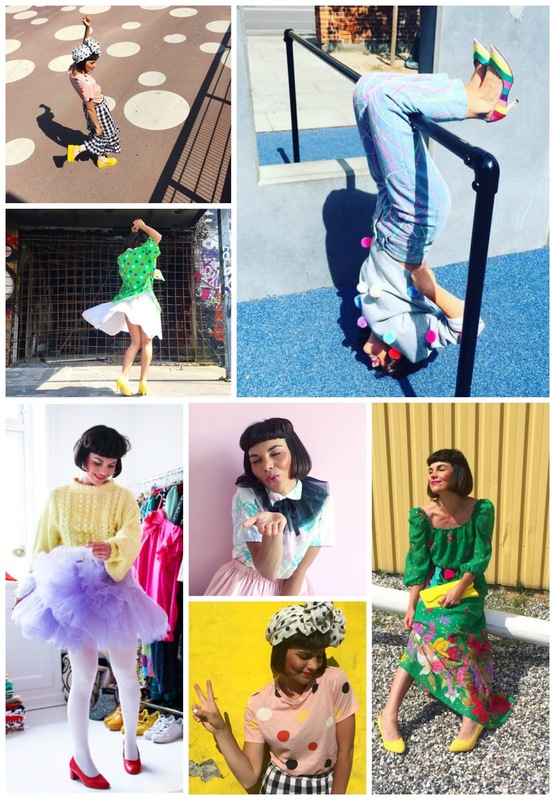 Our babe Miss Vicky Viola is sharing tips on how to care for vintage clothing. 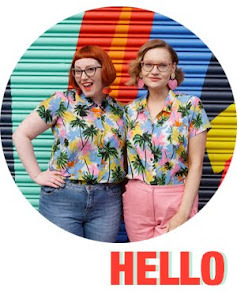 We couldn't make it to Blogtacular this year, so we've been living vicariously through Instagram.